Working with Nashville songwriters Jeffrey Steele (Rascal Flatts, Miley Cyrus), Gary Nicholson (Toby Keith, Dierks Bentley), James House (Dwight Yoakam, the Mavericks), Jerry Flowers (Lady Antebellum, Carrie Underwood) and Jonathan Cain (of Journey, who lives in Nashville), and recording in Las Vegas and Malibu, Bonamassa used nearly 20 guitars and more than a dozen amps in his pursuit of the tone needed for each song. Nashville-based writer Rick Moore caught up with Bonamassa by phone from his Los Angeles home on the rare occasion that the legendary road dog wasn’t on a tour bus somewhere. 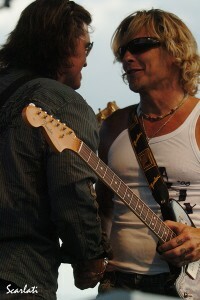 Artists like Jeffrey Steele are what 30A Songwriters Fest is all about. Maybe his name sounds a little familiar to you but you aren’t sure why… Maybe you’ve just never heard of him. But quickly scan this huge list of songs he’s written and you’ll understand why he was just inducted into the Songwriting Hall of Fame. 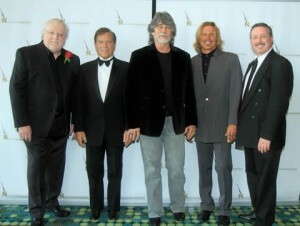 Alabama’s Randy Owen and songwriters Will Jennings, Layng Martine, Jr. and Jeffrey Steele were inducted into the Nashville Songwriters Hall of Fame during the 43rd Anniversary Hall of Fame Dinner & Induction Ceremony on October 13. Taylor Swift was also honored with the NSAI’s Songwriter/Artist of the Year award for a record-breaking sixth time. 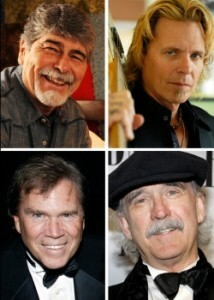 Will Jennings, Layng Martine, Jr., Randy Owen (Alabama) and Jeffrey Steele will be inducted into the Nashville Songwriters Hall of Fame in October, according to an announcement made today by the Nashville Songwriters Hall of Fame Foundation (NaSHOF). Jeffrey Steele and a string of high-profile musical buddies took the stage for a sold-out show during the sixth annual Jeffrey Steele and Friends benefit concert. 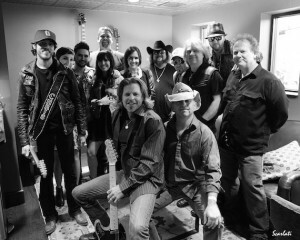 The event, held March 12 at Franklin Theatre in Franklin, Tenn., featured Billy Ray Cyrus, Gloriana, Colt Ford, Chris Janson, The Shuggah Pies, LoCash Cowboys and others. GAC’s Storme Warren hosted the event. Two Years After the Death of His Son, Songwriter Jeffrey Steele Opens Up About His Family’s Struggle. The NASHVILLE SONGWRITERS ASSOCIATION INTERNATIONAL (NSAI) has recognized LYRIC STREET group RASCAL FLATTS and hit songwriter JEFFREY STEELE as the organization’s newest Lifetime Members. Billy Ray Cyrus, Phil Vassar Forming Supergroup? Billy Ray Cyrus is appearing in a new album and a new movie, but he might soon be featured in a new supergroup as well. Might, however, is the operative word. Of the many secrets of the Nashville music industry that remain unknown to those on the outside, there’s one that stands out the most to Jeffrey Steele, an award-winning songwriter, producer and performer.